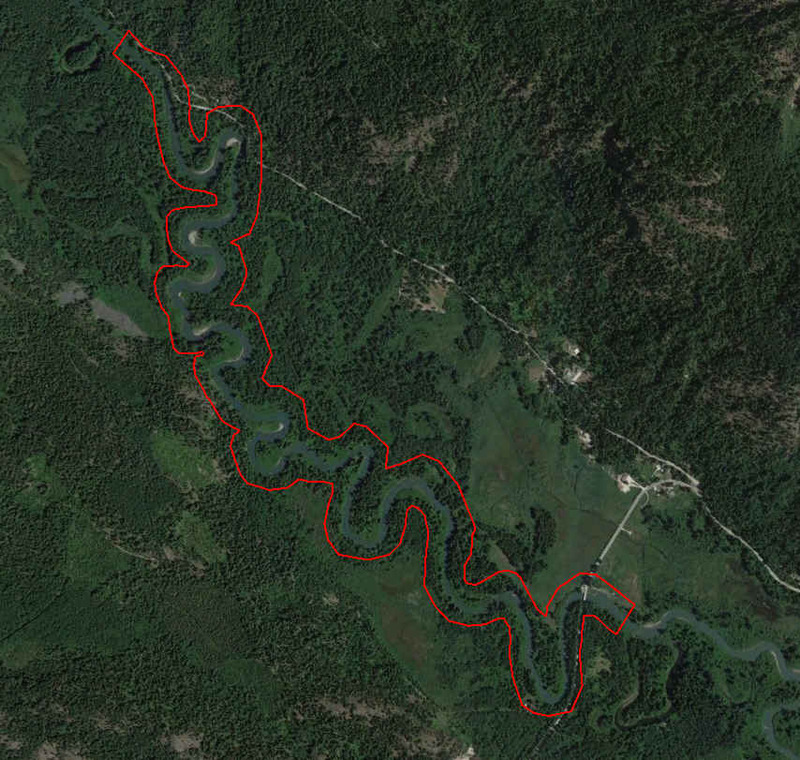 On a section of the lower White River near Lake Wenatchee, Washington, a photogrammetric analysis was undertaken on natural large wood debris accumulations, plus an additional 28 built structures, in order to help determine wood debris volumes for the overall section of the river. In support of that effort, digital aerial photography was collected on September 27, 2015. The acquisition of sixty eight exposures was made in three parallel and overlapping flight lines above the project site. The resulting imagery was processed into high resolution orthophotography using the RGBI, RGB and CIR bands in both geotiff and MrSID formats. The same imagery was also used for the photogrammetric evaluation. 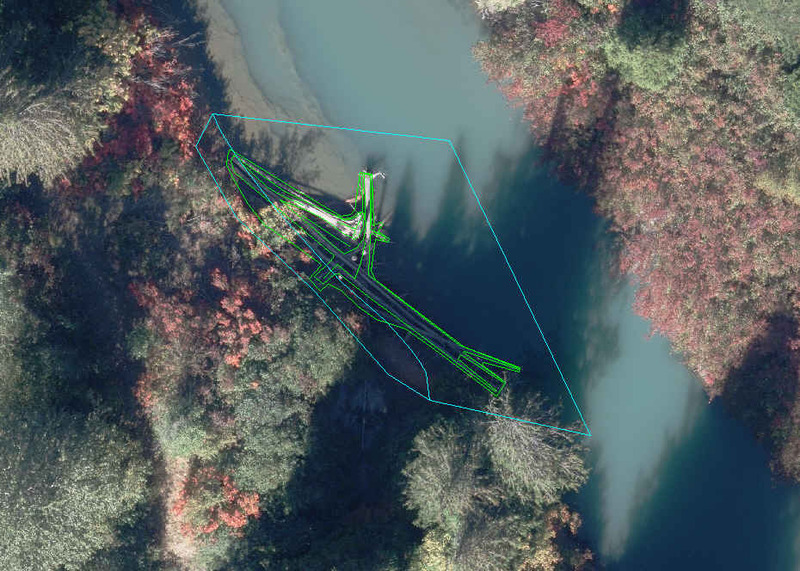 The relevant stereo pairs of digital imagery were loaded into a Cardinal Systems VrTwo photogrammetric workstation, where the debris piles were viewed in 3D. 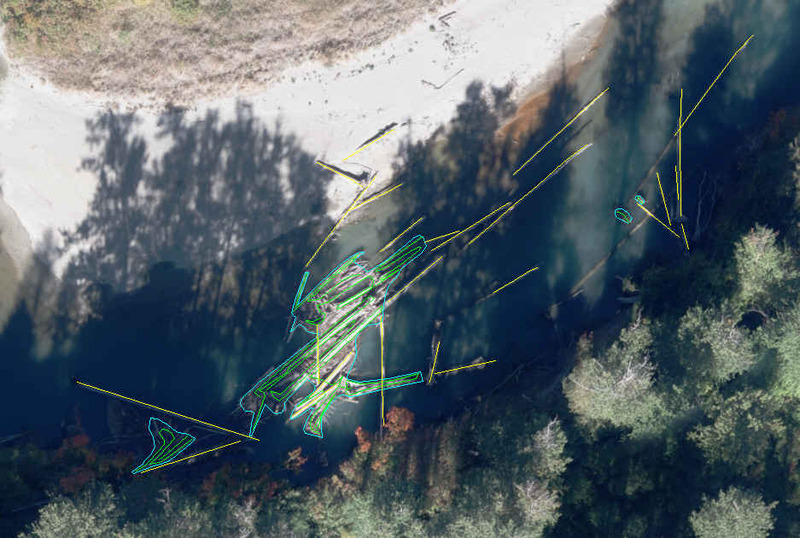 Using proprietary measurement tools, a 3D surface representing the water surface at each of the identified debris piles, plus a surface that defined each pile or log grouping were collected. In some cases, the “water” or base surface was extended up onto the river bank if the debris pile did so. These two surfaces were introduced into AutoCAD Civil 3D, where a volume representing the difference between the two surfaces was computed for the debris piles. In the same 3D environment, and as a supplement to the pile-based measurement, individual logs that emerged as distinct from the debris piles were evaluated. Those logs that met the selection criteria (>6” diameter and >10’ length) had their volumes computed using the Smalian formula. Each log so measured was also digitized as a 3D polyline entity and included in the AutoCAD delivery. © 2010 - 2019 Tetra Tech Inc., All Rights Reserved.